Every product that we make is hot dip zinc galvanized to BS EN ISO1461 to form a corrosion resistant finish for a longer lasting, low maintenance life. This fresh zinc finish is initially a shiny silver colour, but will gradually mellow to a matt light grey. We treat this bright finish before painting any of our products, and we never use gloss paints! We can paint any product in any special colour of your choice – just get in touch on +44 (0)1225 851577. Freshly hot dip zinc galvanized steel has a bright silver sheen that gradually oxidises in the atmosphere to a matt light grey colour, taking approximately 3 years to dull down. This is the authentic hot dip zinc galvanized finish and is the best protection available for mild steel. Zinc galvanized steel has been used for garden arches, water troughs and canopy roofs for over 100 years. Once the steel has been hot dip zinc galvanized, the zinc finish is very bright silver. So, we reproduce the natural weathering process by etching the fresh zinc to achieve a matt dark grey colour. 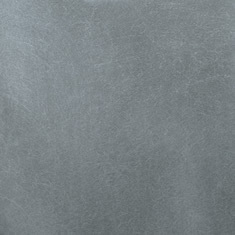 This is not a paint but weathered zinc, and is a finish that looks like lead. It will continue to oxidise in an irregular fashion similar to lead, leading to a unique patinated finish on every product. This jet black paint is a traditional and timeless choice for door canopies and porches, not to mention railings, trellis and garden arches. Every product that we make is hot dip zinc galvanized prior to receiving a pre-painting treatment as fresh zinc has a very shiny surface. We use matt paint for canopy and porch roofs and satin powder coat all wirework for a tough long lasting finish. This grey is matched to Welsh slate. Every solid steel product that we make is hot dip zinc galvanized for a long lasting finish prior to receiving a pre-painting treatment. Fresh zinc has a shiny silver surface and must be treated prior to applying paint. We wet spray a matt, high build paint for all canopy and porch roofs, and satin powder coat all wirework for a tough, long lasting finish. This colour is a mellow hue with a hint of green, similar to the bark of a Bay Tree. We believe it’s the perfect colour for any garden trellis or arch as it doesn’t overpower the plants that it supports – black is just too strong for garden don’t you think? The paint is a satin finish and is professionally applied to the pre-treated zinc for a very long lasting, low maintenance finish. A very dark grey that works well on our fireguards and log holders as well as our new contemporary trellis and arches. A sophisticated colour that complements black woodburning stoves or fashionable bifold doors and painted steel windows. Applied to pre-treated zinc galvanized steel, the satin paint provides a durable, low maintenance finish to our exclusive British made products.